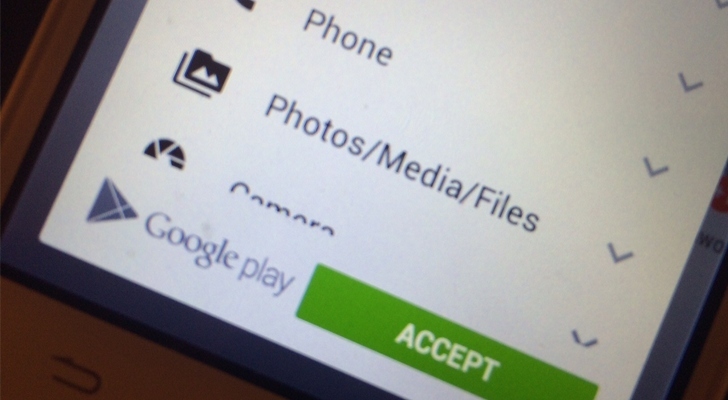 Do you actually read the list of permissions that Android apps are asking for before you install them? I know most of us treat those permissions like terms and conditions, blindly tapping our way through. But if you actually do, you would be aware of their reach. Even share this personal information with third parties without your knowledge. But, do they need all those permissions? 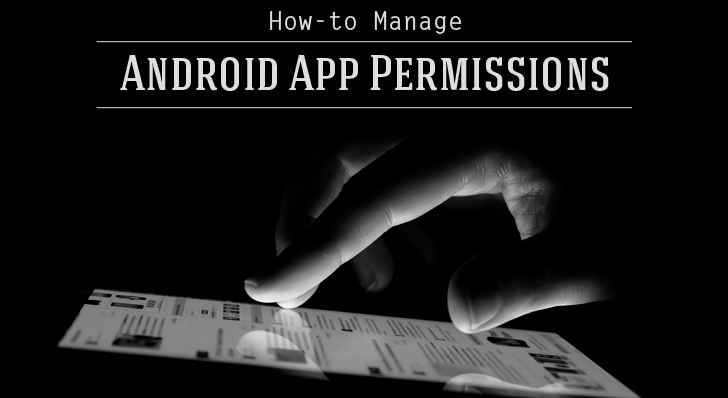 No doubt, Google’s Android mobile operating system has a powerful app permission system that forces app developers to mention the exact permissions they require. By default, it is a Take-it-or-Leave-it situation, which means you can choose to install the app, granting all those permissions or simply, not install it. It appears like every app developer wants access to much of my phone! But, controlling these permissions as a user is possible, and there are apps that make it easier for you to control each single permission you grant to an app. You can first install an app like Permission Explorer that allows you to filter apps and permissions by categories, giving you a much more detail about the permissions you granted to the app. Once you have found some offending apps with unnecessary app permissions, it is time to revoke those permissions. 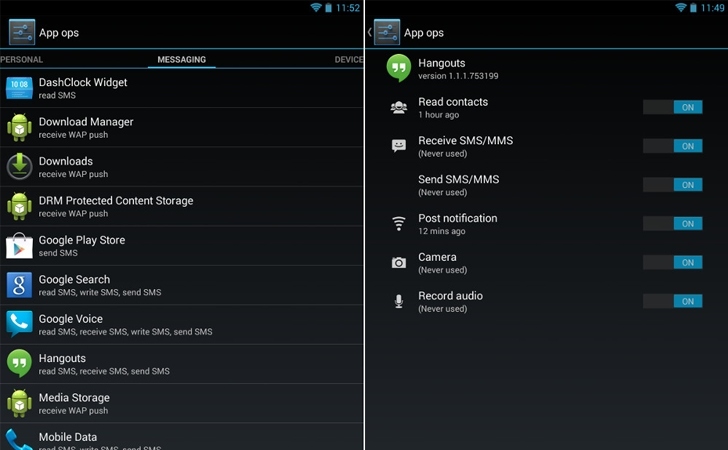 One of the popular apps is App Ops that allows you to block permissions to individual apps. This is the great app that allowed me to block unnecessary app permissions of certain apps on my Android smartphone that do not have anything to do with the main function of the apps, as well as grant permissions that app is allowed to use. If, for example, you don’t want your flashlight app to collect your geo-location data, which is being used by ad agencies, then you can revoke that permission for that particular app simply tapping a button. Google brought App Ops out in Android 4.3, though it removed the feature from Android 4.4.2, claiming it was released accidentally. By rooting your Android device, you grant yourself access to the inner workings of your smartphone's operating system. Once launched, you’ll find a launcher for App Ops in your app drawer. Tap the launcher to launch the App Ops shortcut and start the app. How to Disable Unnecessary App Permissions? Tap any app from the list of apps and you can see which permissions the particular app has and when that app used those permissions. All the listed permissions have an ON/OFF button to its right, and you can disable any permission you like. To demonstrate, let’s disable contact permission from the Facebook app. That's it! Now, Facebook no longer has any permission to read or modify your contacts. In the same manner, you can go through each and every app on your device and, with full control, enable or disable each permission of apps according to your requirements. App Ops is available for free in Google Play Store and supports Android 5.0. It is also accessible on Android 4.3, 4.4.0 or 4.4.1 if your device is rooted. If you have upgraded your Smartphone to Android 4.4.2, then you need first to launch a root authentication and then reboot your device. You can also use advance tool called XPrivacy, the Swiss Army Knife of Android privacy protection.